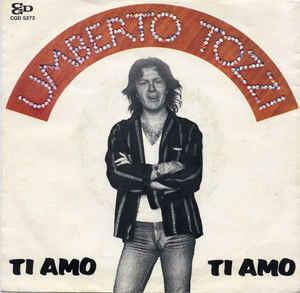 Another Italian proposal as one of the best 50 songs ever in Italy, the singer Umberto Tozzi will try it with the song "Ti Amo". The song reached the charts all around Europe, peaking the first position in Italy, France, Sweden and Switzerland, and getting a very good position in others. If you want to know the rest of the participants for the best song ever in Italy, just go to the Top 50 world Italy or check at Top 50 World Spécial that we have in our website!